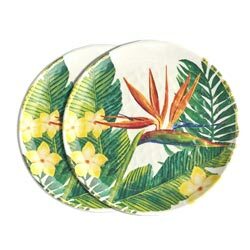 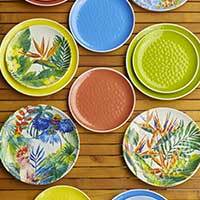 Like the lush vegetation, the unbreakable melamine crockery theme Exotic Flowers assortment captivates us with its hues and colorful patterns and will bring an exotic touch to your tables for the summer. 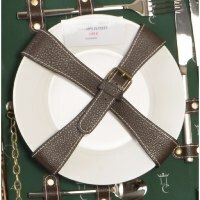 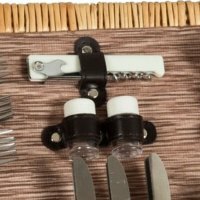 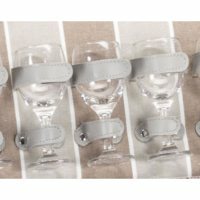 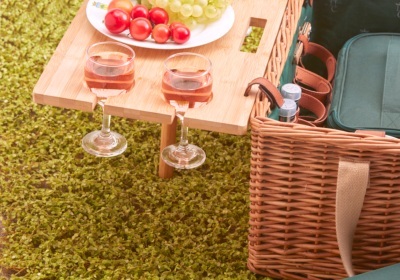 A refined and original range that can be easily married to a solid color tableware. 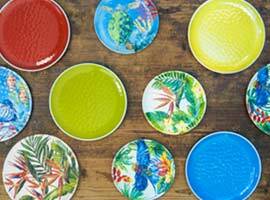 Our range of melamine tableware contains large plates, small plates, bowls, a salad bowl and the salad servers that go with it. 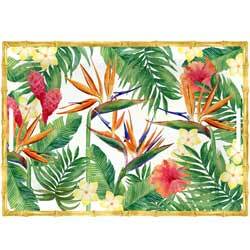 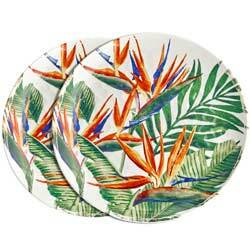 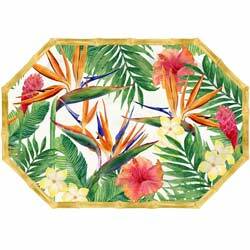 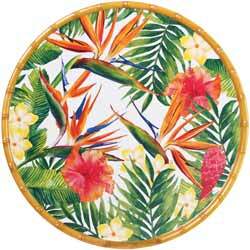 A 27 cm unbreakable plate in pure melamine - Exotic Flowers. 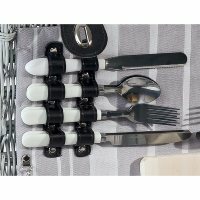 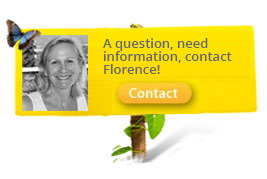 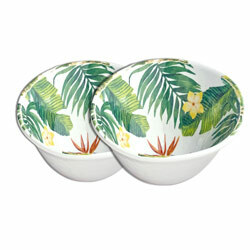 A high quality crockery. 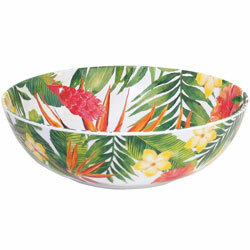 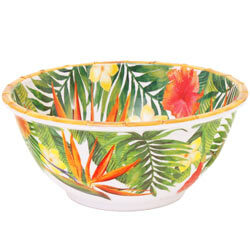 "Exotic Flowers" design bowl made of pure unbreakable melamine with a hammered appearance. 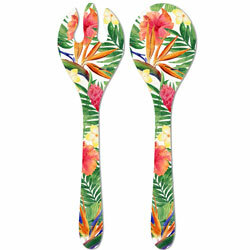 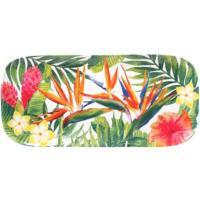 "Exotic Flowers" design unbreakable pure melamine salad servers. 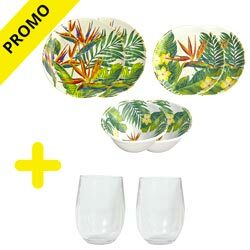 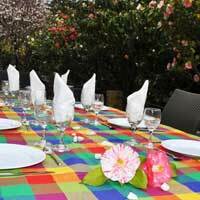 Be ready for the summer with the "Exotic Flowers" melamine unbreakable crockery for two; Enjoy a 50% discount on 2 acrylic glasses.